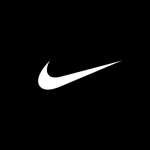 Nike is looking for a Lead Machine Learning Engineer to join our growing cross-functional team. You will work on a variety of complex business problems related to time series forecasting and inventory optimization. You will leverage big data, parallel processing technologies, advanced analytics, machine learning, and deep learning techniques to quantitatively plan product demand, allocate resources, and target the right customers with the best products. Above all, your work will accelerate Nike’s core mission of serving Athletes*. Provide technical leadership and support for team members. Role model and document best practices within your team. Drive quality through continuous testing and improvement. Rock solid engineer and data scientist with 5+ years experience in machine learning, AI and distributed systems development. Master’s Degree or PhD in computer science, mathematics, engineering, or other related quantitative field. Significant expertise in employing machine learning and deep learning models for time series forecasting and unstructured data processing.